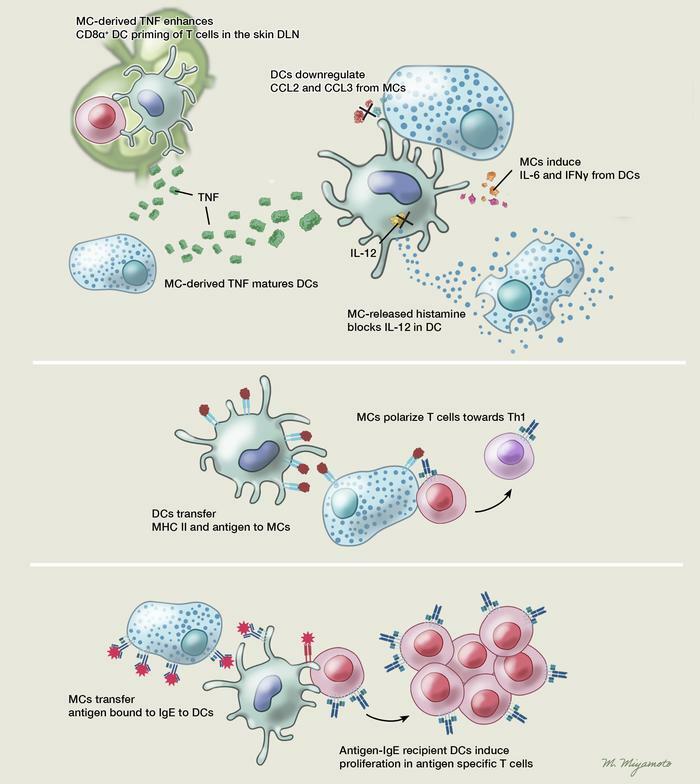 Dendritic cell–mast cell communication facilitates induction of adaptive immune responses. Contact-dependent and -independent mechanisms between DCs and mast cells (MCs) promote T cell responses. Illustrated by Mao Miyamoto.